Report portals lets you publish your reports. 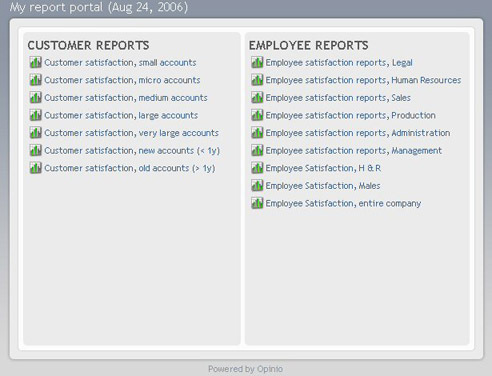 It is a simple way to make your reports available to other users (coworkers, partners, customers, etc). You can choose the level of security; portals can be public, password protected or private. The look and feel of your reports are controlled by professional-looking templates, that allows you to select the layout and color scheme.